Vanilla raspberry cake. Photo courtesy of Eatzii's. From red velvet macarons to chocolate soufflé, indulge in these sweet treats. February is here and we all know what that means: chocolate, roses, and heart-shaped candy galore. 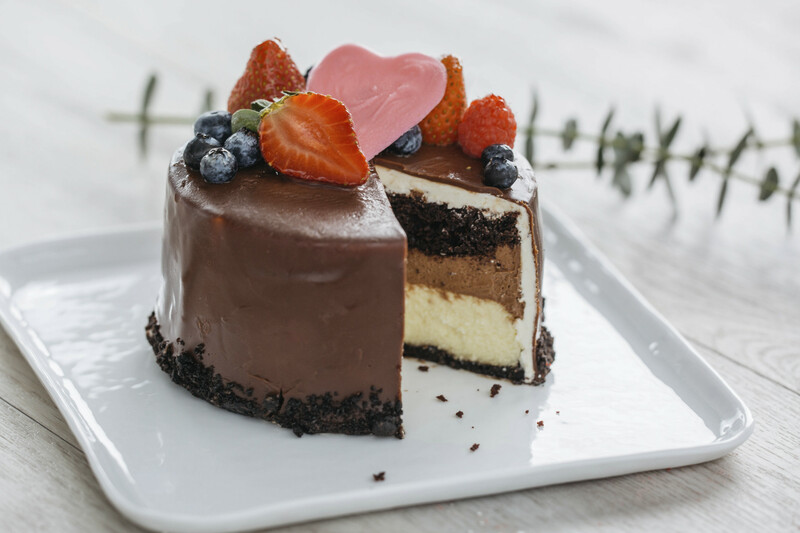 After your delicious date-night meal, treat your Valentine (and yourself) to these sweet Dallas treats. The Uptown staple offers rose petal cake made with blackberry sorbet, strawberry gelée, and dark chocolate mousse. The Valentine’s Day special menu costs $125 and offers this scrumptious dessert as the fourth course. This Uptown bakery, known for macarons and other French pastries, has a special Valentine’s Day menu. Order a dozen red velvet, pink champagne, and white chocolate strawberry Valentine macarons for $25 (or half dozen for $13) through February 14. If you want all three flavors, order the “Heart-Shaped Macaron Assortment,” which includes six macarons for $15. Bisous-Bisous is also offering assorted heart-shaped shortbread cookies for $4 each. Try Eatzi’s vanilla-raspberry and Valentine’s Tower of Power cakes. The vanilla-raspberry cake layers white chocolate mousse and raspberry coulis with red velvet, and is topped with a mirror glaze and candy hearts. The full cake costs $20.99. The Tower of Power layers chocolate cake, chocolate mousse, and cheesecake. The price for a full cake is $18.99. Photo courtesy of Eatzi’s. Tower of Power cake. This popular Henderson Avenue restaurant is offering complimentary bonbons for those dining with them. Choose from cherry cream and Lakewood Temptress milk stout with caramel. 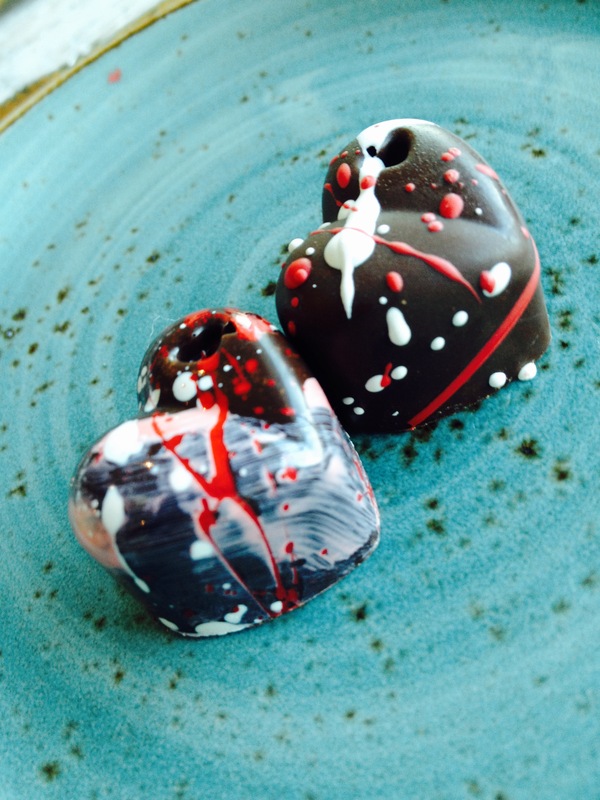 Build a box of scrumptious heart-shaped chocolates by this renowned chocolatier. Kate offers her Valentine’s Heart Collection with hazelnut latte, lavender apricot, raspberry, salted caramel, yuzu, passion fruit, and peanut brittle sweets. This collection will run you $20. You can also purchase a hollow, nine-inch tall dark chocolate Valentine’s teddy bear for $75. The upscale steakhouse will have a chocolate-and-raspberry roulade available from Feb. 10 until Feb. 14 for $12. 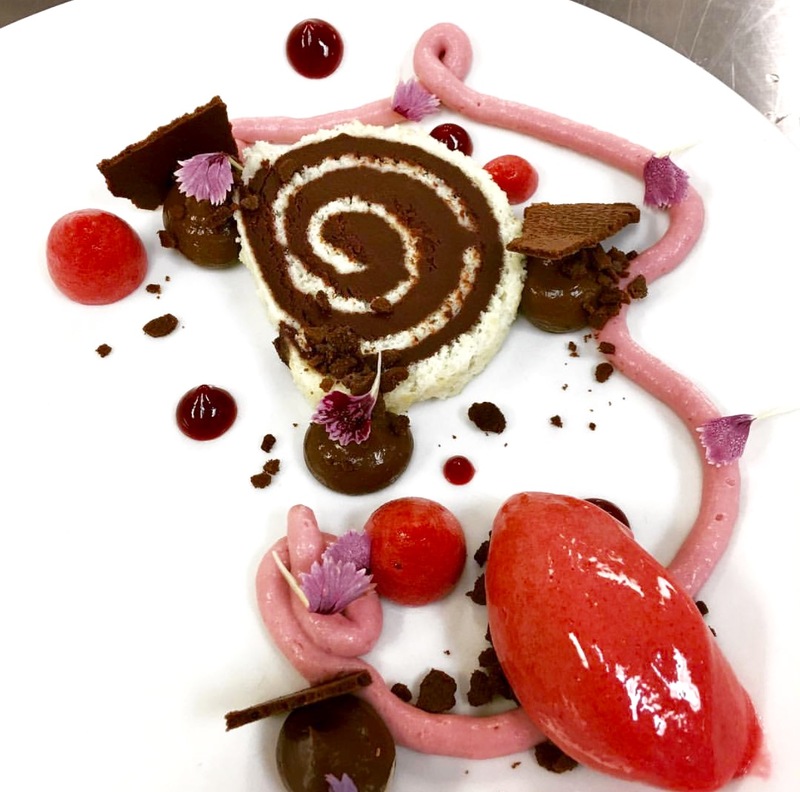 Executive pastry chef Eric Cobb fills the roulade with a raspberry ganache and pairs it with dehydrated chocolate mousse. There is also a raspberry gel, raspberry crémeux, raspberry foam, and sorbet. If you’re craving seafood and a great dessert, this is the place for you. Indulge in a red velvet sundae: strawberry ice cream and red velvet crumble topped with praline sauce and brandied cherries. This dish is sure to satisfy your sweet tooth. 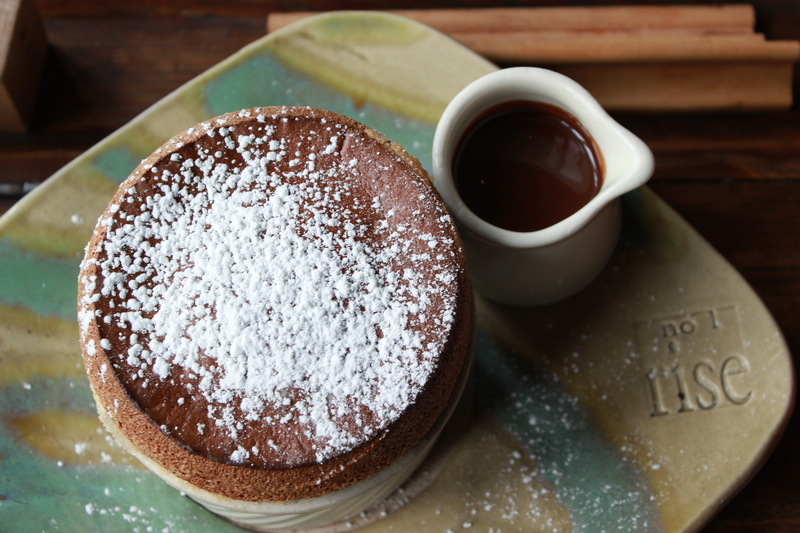 This popular restaurant will feature its strawberry and chocolate soufflés for the holiday. The chocolate, their most popular, is made with rich, dark European chocolate. If you’re trying to stay on the light side, the strawberry might be the way to go. This 122-calorie, gluten-free dessert made with puréed strawberries and whipped egg whites won’t disappoint. The steakhouse will offer a dreamscape dessert lounge for $12 per person. An array of desserts, along with white and dark chocolate fountains and heart-shaped ice sculptures, await you. Come delight in this Valentine’s dream from February 11 through 14. This old-fashioned French bistro is offering a heart-shaped chocolate terrine for V-Day. Made with Belgian chocolate and served with raspberry sauce, this treat will cost you $7. Emily Esleck is a D Magazine editorial intern.